In this week’s episode of the ArtTactic Podcast, first host Adam Green talks about the origins of the ArtTactic Podcast and what motivated him to launch it in 2009. 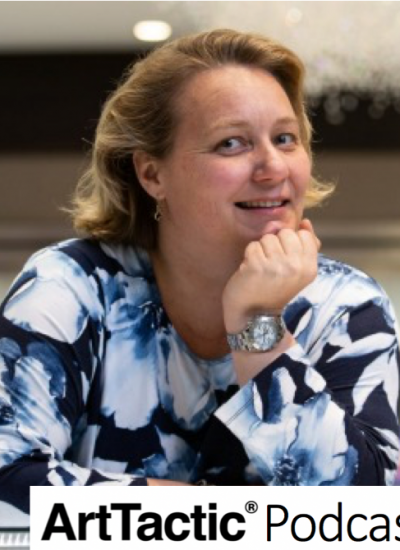 Then, he speaks with Leanne Kemp, founder and CEO of Everledger, a technology company that uses blockchain technology to track the provenance of diamonds and other valuable items. Leanne talks about the history of Everledger and discusses its success bringing a blockchain platform to the diamond industry. Then, she reveals what kind of blockchain services she will offer the art world and how different it is from the diamond industry. Also, Leanne explains what it will take for a blockchain solution to become prolific in the art world. Finally, she shares how a widely used blockchain ecosystem in the art world could benefit the industry. 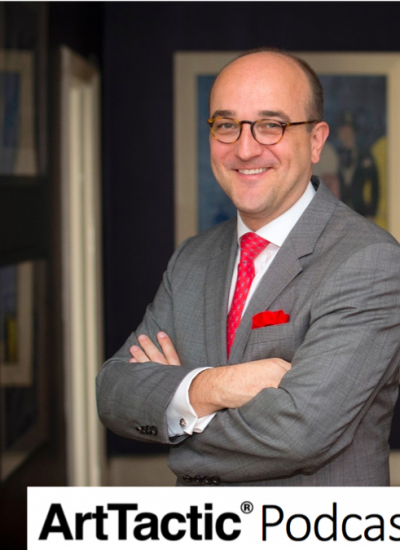 In this week’s episode of the ArtTactic Podcast, Phil Michaelson, CEO of LiveAuctioneers, joins us to discuss online bidding in the art market. First, Phil discusses LiveAuctioneers’ online bidding platform and how they partner with auction houses to enable bidders to bid live in realtime in sales. Then, he discusses how online bidding as a sales channel is trending compared to absentee bids, telephone bids and in-person bidding. Also, Phil touches on the importance of an auction house’s brand when it comes to instilling confidence in online bidding as well identifying certain art market trends based on their aggregated bidding data. 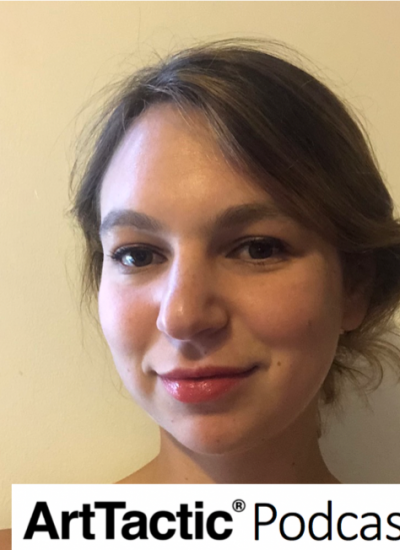 In this week’s episode of the ArtTactic Podcast, Jessica Klein, freelance journalist, joins us to discuss her recent article in The Outline on the art world, cryptocurrency and blockchain. First, Jessica identifies a few notable artists currently incorporating blockchain technology and cryptocurrency in their art in different ways, such as Kevin Abosch, Cryptograffiti and Sarah Meyohas. Then, she tells us if there is any crossover between the collectors of this blockchain and cryptocurrency art and more traditional contemporary art. After, Jessica explains how select galleries and auction houses are targeting the newly crypto wealthy. Lastly, she identifies some of the art world startups that are leveraging blockchain technology to try to address provenance issues. 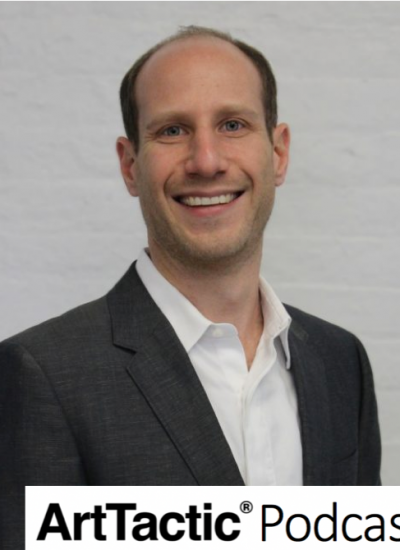 In this week’s episode of the ArtTactic Podcast, Adam Fields, founder and CEO of ARTA, returns to the podcast to update us on the latest in the fine art shipping and logistics marketplace. First, we discuss ARTA receiving investments from notable art companies, including Sotheby’s, and how ARTA has integrated with them. 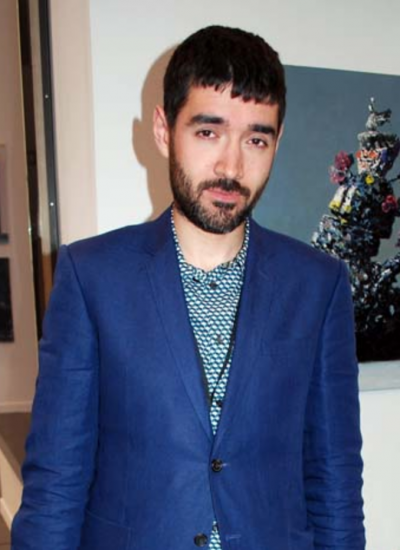 Then, Adam reflects on Frieze and TEFAF and how ARTA assisted exhibiting galleries get their art from their galleries into the booths. Also, he touches on shipping challenges specific to Europe and explains why there is still so much variance with art shipping quotes. 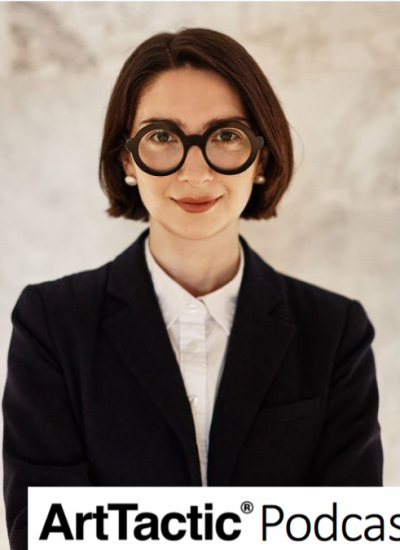 In this week’s edition of the ArtTactic Podcast, we speak with Natasha Arselan, founder and CEO of AucArt, a startup online auction house exclusively offering early career contemporary art. First, Natasha reveals how young the graduate artists are on the platform and how AucArt finds them. Then, she identifies the limited alternative sales channels for emerging artists. Also, Natasha tells us the diverse kind of buyers interested in contemporary art by early career artists and how receptive artists have been to selling their art on the platform. 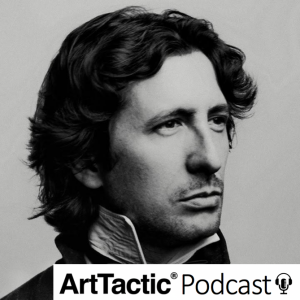 In this week’s episode of the ArtTactic Podcast, we speak with Robert Diament, director of Counter Editions, who produces prints and multiples by leading contemporary artists, including John Baldessari, Katherine Bernhardt, Cecily Brown, Peter Doig, Tracey Emin, Laura Owens, Christopher Wool, Jonas Wood and many others. First, Robert reveals that most artists create prints in order to make their art accessible to their admirers at an affordable price point. Given the increased demand for prints, Robert tells us if it has become more competitive for printmakers to persuade artists to make prints with them. Also, he touches on the emergence of flippers in the prints market and how Counter Editions tries to sell artworks to genuine collectors. Further, Robert takes us behind the curtain and explains how they collaborate with artists on deciding every aspect of a print, such as the subject matter, medium, size and edition size. Lastly, Robert shares why he thinks prints are a great way for new collectors to start building their collections. 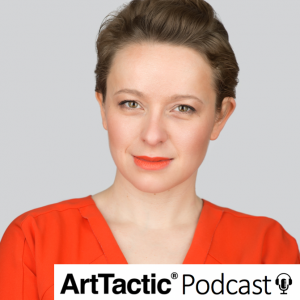 In this week’s episode of the ArtTactic Podcast, Helena Real, head of the London office at the .ART Registry, joins us to discuss the new top-level domain created for the art world. First, Helena explains how they got access to the .art domain. Then, she argues why galleries, artists, auction houses, dealers and others in the art industry should switch from using a website ending in .com to .art. Also, Helena shares some metrics regarding how many and which influencers have adopted the .art domain. 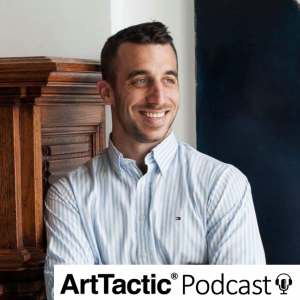 In this week’s episode of the ArtTactic Podcast, Daniel Lever, co-founder and CEO of ArtRunners, an online startup focusing on art logistics services, joins us. First, Daniel discusses why the current process of finding art logistics is antiquated and in need of innovation. Then, he tells us about the services ArtRunners provides. Also, Daniel explains why ArtRunners will bring much needed competition between art logistics services. 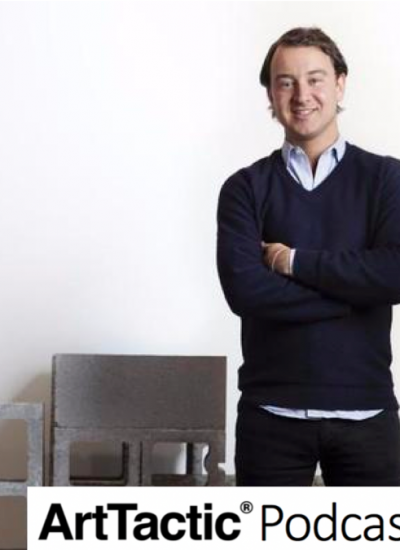 In this week’s episode of the ArtTactic Podcast, we speak with Francesco Gibbi, founder of Lot-Art, an online portal that aggregates artworks upcoming for auction as well as after-sale opportunities. First, Francesco explains Lot-Art works and how it solves for the dilemma collectors and dealers face when trying to ensure they don’t miss anything they desire upcoming at auction. Then, he shares some interesting art market trends based on aggregated data he has from his users. Also, Francesco shares with us why he doesn’t charge his customers to use his site, but instead is content not profiting off of his platform.